If you have not yet started planning your summer vacation, don’t wait any longer. 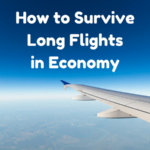 Summer is one of the busiest travel times so it is harder to find last minute flight and hotel deals. Flights and hotels are getting booked up, so if you wait too long you might be left with fewer options when planning your trip. 2) Choose a travel destination. You might already have a vacation destination in mind or you might still be looking for travel inspiration. This might be a great time to check some places off your travel bucket list. Summer can be a busy travel season so consider traveling somewhere off the beaten path or where summer is the low travel season. Flights and hotels will be less busy – meaning not only are there less tourists but prices will be lower. For example, hotels in the Caribbean cost less in the summer and fall than they do during winter or spring break so this might be a great time to plan a trip to a Caribbean island like Barbados. You might also want to consider traveling somewhere off the beaten path or finding hidden gems in popular vacation destinations. For example, Europe is a popular travel destination for the summer but there are still hidden gems in Europe that are yet to be discovered. 3) Start looking for flights early. If your summer vacation plans involve flying, start looking for flights early. There is a greater possibility of coming across an airfare sale the earlier you start looking. Since summer is a busy travel season, it will be hard to find last minute airfare deals. I would recommend everyone start looking for flights right away and then book when you find a good price. 4) Use air ticket booking websites to find cheap flights. The best way to find cheap airfare is to use an air ticket booking website which compares prices among various airlines. I also like to look at the wikipedia page of the airport, to make sure I don’t miss any small airlines that fly to that airport. 5) Consider booking a cheap flight to another city then continuing your trip with a low cost airline or train. Instead of booking a flight to the city of your choice it might be cheaper to book a flight to another nearby city. You can then book another flight with a low cost airline or take a train or bus to your travel destination. For example, if flights from Chicago-Athens are over $1200 but you see a flight to London for $500 you can book that flight and then fly on a budget airline from London to Athens. 6) Use miles and points to book your flights and hotels. If you have miles and points, summer is a good time to use them because flights/hotels are more expensive compared to the low season. 7) Apply for travel credit cards and debit cards. If you don’t have a credit card that does not charge foreign transaction fees, consider applying for a new credit card before your next trip. If you plan to check luggage, you might want to look into applying for a credit card affiliated with the airline you are flying on to avoid checked bag fees. If you do not already have one, consider getting a debit card that does not charge foreign transaction fees or fees for using ATMs from other banks. Start researching your travel destination early. Read reviews to book a hotel or vacation rental. Start researching things to do at your travel destination. One of my favorite websites for trip planning is wikitravel. 9) If you are traveling internationally, check visa requirements and make sure you have a valid passport. If you are traveling to a foreign country, check to see if the country you are traveling to requires a visa so that you have enough time to apply and get your visa. If you don’t have a passport yet, make sure you apply for a passport as soon as possible. It can take some time to receive your passport after applying especially if you want to apply by mail and not pay fees for expediting your application. If you already have a passport, check the expiration date of your passport and whether there are any blank pages remaining. Make sure that your passport does not expire less than six months before your return date – some countries will not allow entry if your passport expiration date is less than 6 months before your date of departure. If you are you traveling internationally for the first time or just want to be sure you don’t forget anything important before your next international trip, here is a list of essential things to do before traveling abroad. 10) Start shopping for your trip essentials. I recommend creating and checking your travel packing list early. This will ensure you have enough time if you need to purchase anything before your trip including clothes, any travel gadgets and gear, long haul flight essentials and other carry on essentials. These are my top tips for planning a summer vacation. Do you have any other summer vacation planning tips? I really want to become a person who can start planning a vacation in advance. Always everything is done in a hurry ..